You can easily replace the wristband of your Steel HR / Steel HR Sport thanks to the quick release spring bars with which it is attached. 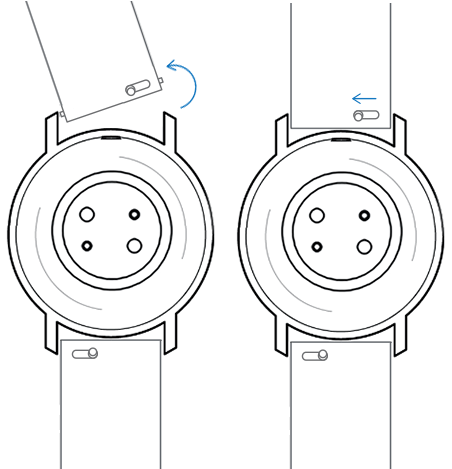 The 36-mm model requires wristbands that are 18-mm wide (Steel HR only), while the 40-mm model requires wristbands that are 20-mm wide (Steel HR and Steel HR Sport). Turn your Steel HR / Steel HR Sport over. Locate the knob of each spring bar. 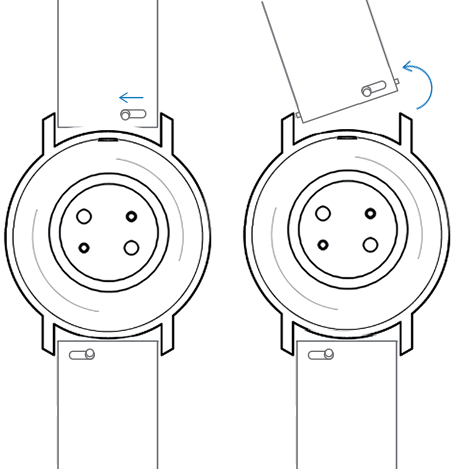 Pull the knob of the first spring bar to the left side and remove the wristband. Insert one side of the spring bar of the new wristband. Put the wristband in place while pulling the knob to the left side. The wristband is now properly attached to your Steel HR / Steel HR Sport. Can I change the wristband of my Steel HR / Steel HR Sport? Steel HR / Steel HR Sport - Can I have multiple activity trackers on the same user profile?